The story of the famous tour 1913 of ten renowned rabbis to visit and encourage the new farming communities in the Shomron and Galilee. Rabbi Kook: "That which is holy will become renewed and that which is new will become holy". A few months ago, a new book called "Eleh Massey" ("This is the Journey") was published, describing the historic "Journey of the Rabbis" to the new farming settlements in the Shomron and Galilee in the winter of 5674 (1913) in order to strengthen religious matters there. At the head of the delegation stood the revered religious Zionist icon, Rabbi Abraham Isaac HaKohen Kook ztz"l, who was about 49 years old at the time, serving as Rabbi of Yaffo and the 'moshavot' (new farming settlements). Together with him were a number of important rabbis, most notably, Rabbi Yosef Chaim Sonnenfeld (who was 16 years older than Rabbi Kook) of Jerusalem. Rabbi Kook's was a beloved leader and brilliant Torah sage, philosopher and poet. His famous saying regarding the settlement of Israel by pioneers of different levels of religious observance was one of hope for continued spiritual improvement: "That which is holy will become renewed and that which is new will become holy", which in Hebrew alliterates to: "Hachadash yitkadesh vehakadosh yitchadesh" . The more established settlements had been started by religious and traditional people, while the newer settlements were started by secular individuals. However, the spirit of the times, and the influence of a new generation of schoolteachers, ruined the traditional atmosphere in the older settlements as well. The rabbis departed on their journey in order to strengthen Shabbat observance, Torah education, and all other religious matters, focusing especially on the giving of 'terumot and ma'asrot' (agricultural tithes) as these were farming settlements. The account of the journey was written by Rabbi Horowitz, who was one of the participants and organizers, however, it was written from his perspective, without describing the general situation of the settlements, and the impact left on them, by the rabbis' visit. Rav Amihud Levine, Shlita, head of the Netanya kollel, and head of the "Oraita Institute", who is knowledgeable in Talmud and an eminent expert in the history of Jewish settlement in the Land of Israel, took upon himself to publish the book anew. The new edition is accompanied by an introduction, notes, photographs, and further details that provide a complete historical picture of the settlements' situation in those times, and the impact the rabbis' tour had on them. Few books incorporate Torah knowledge, historical, and geographical accuracy on such a high level. I am honored to note that Rav Amihud Levine is a relative of mine. His father, the Gaon Rabbi Moshe Levine ztz"l, the former Rabbi of Netanya, is my father's uncle. When Rav Levine's grandfather – who is my great grandfather – Rabbi Eliyahu Epstein ztz"l, made aliyah to Eretz Yisrael and travelled to Rabbi Kook, he offered him two positions in the Rabbinate: either to be the Rabbi of the growing city of Ramat Gan, or Rabbi of Balforia in the Jezreel Valley. Wishing to participate in the building of the Land, his grandfather chose to go to pioneering, far-off Balforia. The roots of this wonderful book's publication apparently stemmed from there. As cited in the book, the introduction to the booklet describing the journey, or at least the majority of it, was written by Rabbi Kook. He wrote: "When we behold the flourishing 'moshavot', the expanding cities, the ever-more sophisticated suburbs in the Land of Israel, and we read the words of the Prophet (Yehezkel 36): 'Thus says the Lord…I will also cause the cities to be inhabited, and the wastes shall be rebuilt, and the desolate land shall be tilled…', we were like dreamers…and ask ourselves: Is it possible? Could it be that we are already the generation that sees the beginning of his prophecy? … and when we contemplate such thoughts, we feel a sense of profound greatness, and wonderful pleasure…"
"But on the other hand, when you look at all the shortcomings, at the remoteness from the light of the Torah and mitzvoth, it almost seems to us that all of the spectacular vision of [Israel's] revival, has vanished and evaporated like smoke before our eyes, God forbid…Surely, we are confident in the grace of the Rock of Israel, who tells Zion "be built! ", that these illnesses are temporary, and the inner life-force within the soul of Israel…will overcome all these deficiencies… but we are called to assist as best we can, to go and help the heroes, to visit the 'moshavot', to encourage the spirit, to insert holiness into the bones of the settlements…to elevate traditional Judaism, to cry out loudly the exclamation of peace and unity between the old and new settlements…"
In every place they visited, Rabbi Kook, and other rabbi's, addressed the pioneers. Their words made an impact on their audience, awakening a desire to become stronger in Torah, mitzvoth, and Shabbat observance. Practical arrangements for the taking of agricultural tithes were fixed, and other religious matters were worked out. But the problem of education – which required intensive treatment – was not resolved. The piercing sorrow over the drifting apart from Torah and mitzvoth breaks the heart. Although 98 years have passed, it seems that these two main points still remain. From one year to another, the astonishment at the settling of Eretz Yisrael increases. At the time of the Rabbi's journey, in 1913, Jewish settlement in the Land of Israel numbered approximately 85,000 Jews (only 12% of the total population). The vast majority lived in cities, mostly in Jerusalem, with nearly 12,000 Jews living in 47 new settlements established over 30 years – since the First Aliyah, in the year 1882. Today, there are more than 60 times as many Jews living in Israel – approximately 6 million. After about 30 years of settlement, the Jewish population in Judea and Samaria numbers close to 350,000. The largest settlement back then was Zikron Yaacov, which, after 30 years of settlement, numbered about 870 people (in order to emphasize the change, today, in the community of Har Bracha located in the Shomron, there are approximately 1,500 people). On the other hand, the piercing sorrow over the drifting apart from Torah and mitzvoth breaks the heart. Yet, just as in the past, it turns out that a large part of the estrangement is due to a lack of getting together. In most cases, when both sides meet, they demonstrate a deep desire for rapprochement, and the secular are interested in more of a connection to Torah and mitzvoth. In almost every place the rabbis visited, the veteran residents complained about the teachers steering their children from the path of Torah and mitzvoth. Those teachers were financed at first by the clerks of Baron Rothschild, and afterwards, by the Jewish Colonization Association, and coordinated by "The Teachers Center". All of these organizations were of a national-secular orientation. The difficulty in making a living did not allow the farmers to hire teachers suitable to their liking. 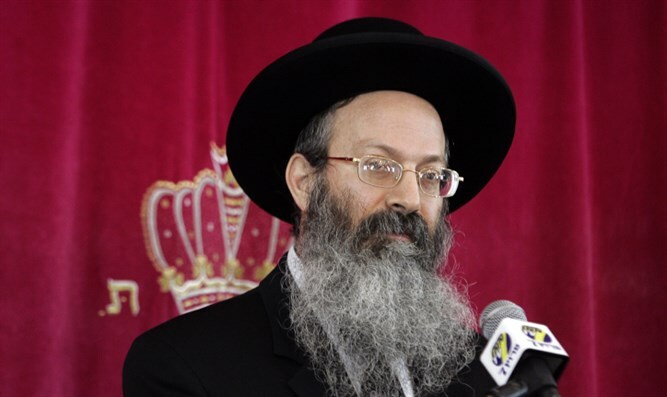 Rabbi Kook hoped that by means of the 'Agudat Yisrael' movement, which was established a year before, resources would be found to hire religious teachers in all the 'moshavot'. This was one of the reasons for his trip to the 'Agudat Yisrael' convention in Frankfurt in the end of 1913. However, the First World War broke out and interrupted the plans. Nevertheless, Rabbi Horowitz, the representative of the committee from Amsterdam, had already managed to obtain a temporary budget for six teachers who were sent to the 'moshavot'. The story is told of one of them, Rabbi Porush, who was sent to Yavniel and was so successful, that almost none of the children remained in the secular school. Rabbi Kook and the other rabbis gave sermons in all of the settlements, and their words left their mark; however, the educational system, which was governed by secular authorities, was difficult to correct, being that it was dependent on large budgets. In the 'moshava' of Hadera, there were about 450 Jews at the time. In the northern section of the area, lived a group of immigrants from Yemen. This was the impression of the rabbis, as summarized by Rabbi Horowitz: "The children learn in mixed groups. The religious studies and education is completely inadequate… we met a 12 year old boy from the school, and we were astonished…the 'Chumash' (Five Books of Moses) is totally foreign to him – he's never seen one in his life. True, he learns Isaiah and Ezekiel from the Book of Prophets, and you can already guess the perception of a child who has never seen a 'Chumash'…they are taught absolutely nothing about the obligation of prayer…the situation of the youth is unruly…"
"A Yemenite man, who is a member of the Yemenite Committee, passed a note to the rabbis, complaining that there is no Torah, no prayer, and no knowledgeable or understanding teacher." As a result of the visit, Rabbi Kook wrote a letter including criticism about matters requiring improvement (Igrot Ra'aya, part 2, 621). In consequence of the letter, the committee assembled and at the conclusion of the meeting, complaints were voiced at those who spoke negatively to Rabbi Kook. On the other hand, it was agreed that the giving of agricultural tithes should be reinforced, and opposition to public desecration of the Sabbath was also voiced. It was agreed to advance the building of a 'mikvah' for the remote Yemenite neighborhood. Concerning the hiring of a teacher, they decided that it was dependent on obtaining a budget. In the meeting, there were some members of the committee who agreed to immediately guarantee certain payments, but in the end, it was decided to establish a committee to see if a budgetary solution could be found. Zichron Yaacov was the largest 'moshava', and there the rabbis discovered that the school was mixed, the teachers were secular, and foreign influences caused a drifting apart from religion. This was expressed in the fact that even in the synagogue, the clerks of Baron Rothschild had placed the platform for Torah reading next to the 'aron kodesh' (altar), similar to the custom of Reform Jews. In a meeting with the committee, Rabbi Kook said that "a considerable 'tikun' (improvement) must be made in the school; the classes must be separated – the boys and the girls should learn separately …" There were some teachers who argued over this, and in the end, the committee accepted the requirement fundamentally, however, decided to transfer the arrangement of the matter to the school conference. Rabbi Kook also handed down the rabbis' decision that obligated the positioning of the platform in the center of the synagogue. Some members argued about this too, claiming that it is only a custom. Rabbi Kook, however, replied that there was no room to distinguish between law and custom, and in any case, this change expresses an "assimilation and uprooting of Judaism." In the end, the committee agreed to transfer the question to a general meeting, while supporting the Rabbi's requirement. One of the main virtues of Rav Levine's edition is that he goes into detail, giving a full picture of the events, as well as their conclusion. On the Shabbat that the rabbis were in Zichron Yaacov, the platform was temporarily moved to the center of the synagogue, for the rabbis agreed to come only on the condition that it was moved. Later, however, the platform was returned to its original place. Seeing that the meeting in which the final decision was to be made concerning the platform's location was delayed, two members courageously broke the base of the platform, and moved it to the center of the synagogue. When it became known, the 'moshava's' committee decided to impose a heavy fine on them, because "this action is against all of the ordinances of the committee…and can cause demoralization and ruin the efforts and operations of the committee." However, many members protested the punishment, saying that the actions of the two members represented the feelings of many others who encouraged them to do it. One member even claimed that the Rabbi's had said "it was an obligation to break the platform, and therefore it was as if the 'gabai' (manager of the synagogue) was certified to do it." In the end, it was decided – by a majority vote – to exempt them from paying the fine, and the platform remained in the center of the synagogue, as the rabbis requested. Rabbi Ben Tzion Yadler, one of the participants on the journey, relates the following story in his book "B'tuv Yerushalayim": "I recall that in one 'moshava' there was a "modern" man who, in the middle of Rabbi Kook's sermon, began objecting to the taking of agricultural tithes, screaming: 'In our place there will not be such a thing!' Rabbi Kook got very angry and reproved the man harshly, until Rabbi Sonnenfeld calmed Rabbi Kook down by saying: 'Rabbi, you will yet see this man repent, and give of his own fruits to be tithed." (Rabbi Yadler writes that this is exactly what happened. Eventually, that same man personally assisted in the tithing of produce). A simple Jew who also participated in that meeting, got up and said: 'If we are ready to sacrifice our lives for the Communist red flag, when it hasn't yielded anything, all the more so should we be ready to sacrifice our lives for the agricultural tithes, which is an ancient custom from the times of Yehoshua bin Nun, who conquered the Land, and also for the observance of Shabbat from the days of Moshe Rabbeinu, for that matter!' These words pleased Rabbi Kook. Living in the 'moshava' of Poriah at the time were approximately 60 young, secular pioneers who desecrated the Sabbath and ate non-kosher food. In spite of this, when they heard that the rabbis were spending Shabbat in Yavniel, they sent two members there to invite the Rabbi's to visit their community. Since Poriah was beyond the Sabbath limits for travelling, Rabbi Kook did not want to give them an answer on Shabbat (so they wouldn't return to their community, thus desecrating the Sabbath), and told them that if they waited until Shabbat was over, he would respond. When Shabbat was over, the Rabbi agreed to visit the following evening. In the book, a number of testimonies are mentioned about the visit to Poriah, which left a strong impression on the pioneers who, up until then, felt an extreme remoteness from rabbis, Torah and mitzvoth. Rabbi Kook spoke to them about Torah and settling the Land, and about the need to make a spiritual and emotional connection between the elderly Rabbi from Jerusalem, Rabbi Sonnenfeld, and even the youngest laborer. To this the pioneers responded with cries of 'hooray' and applause. Out of enthusiasm, they began to dance together, while in between breaks, Rabbi Kook spoke to them about matters of 'teshuva' (repentance), Shabbat observance, eating kosher, etc. Another woman spoke of a feeling of spiritual elevation, emphasizing that "only the men danced there. The girls didn't dare." At the conclusion of the meeting, the pioneers pledged to kosher the kitchen, and not to publically desecrate the Sabbath any more.